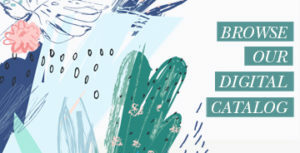 This is a series of 5 blog posts by guest blogger Martha Lawley , author of Attending the Bride of Christ: Preparing For His Return. This is the first in the series of leadership lessons so watch in the future for the other 4 to follow. I know these will be a great blessing and challenge to you as a leader. Of all the disciples I relate most to Peter – passionate, impertinent and always ready with a quick response. As much as I’d like to relate more to John – the beloved disciple – I am more of a Peter! Yes, Peter was far from perfect – just as you and I are far from perfect, yet God had a plan for Peter, a big plan – a very specific plan far beyond anything Peter could have imagined! This is the first in a series of five posts discussing the 5 most valuable lessons I’ve learned from the life of Peter. These leadership lessons are helping me become a better, more godly leader. Perhaps you can learn from them as well. God has a plan for each of us – a unique plan specifically designed for us. Like Peter, we have been called by God into Christian leadership. Our calling is not something we have earned or deserve. Most of us would be considered unlikely leaders in the eyes of the world. And we would be the first to admit that our role as a godly leader has nothing to do with anything we have accomplished or achieved. Luke 5:1-11 recounts Peter’s call to leadership. Many people gathered to hear Jesus teach that day. Jesus was calling all of them into a relationship with Himself – but only Peter, James and John were called into leadership that day! Like Peter, James & John, you and I have been chosen by God – called by God to lead. We did not choose – God did! 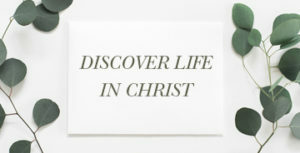 God chose you and called you to a ministry designed just for you! Just as He has called me to a unique ministry designed just for me. Do you recall when God called you into leadership? Are you following that call? Martha Lawley formerly served as the Women’s Consultant for the Utah-Idaho Southern Baptist Convention until her family moved to northern Wyoming. 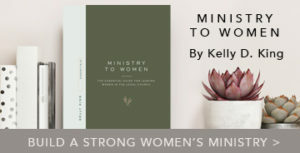 She contributed to the women’s leadership books, Transformed Lives: Taking Women’s Ministry to the Next Level and Women Reaching Women: Revised and Expanded edition, published by LifeWay, and has written numerous articles for LifeWay’s Women’s Ministry web site. She is a LifeWay Ministry Multiplier and serves her local church in various areas of leadership, and is a member of the Southern Baptist Convention’s Executive Committee.